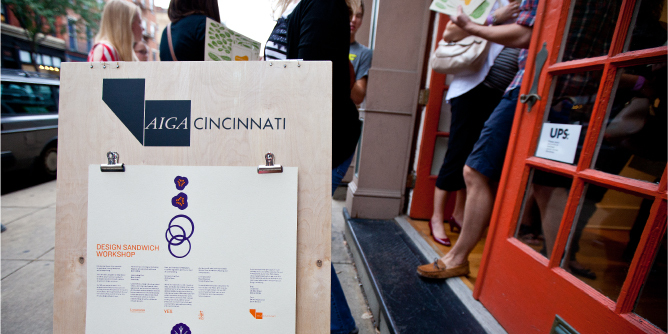 Last Friday, LPKers attended AIGA Cincinnati’s Design Sandwich Workshop in Over-the-Rhine. 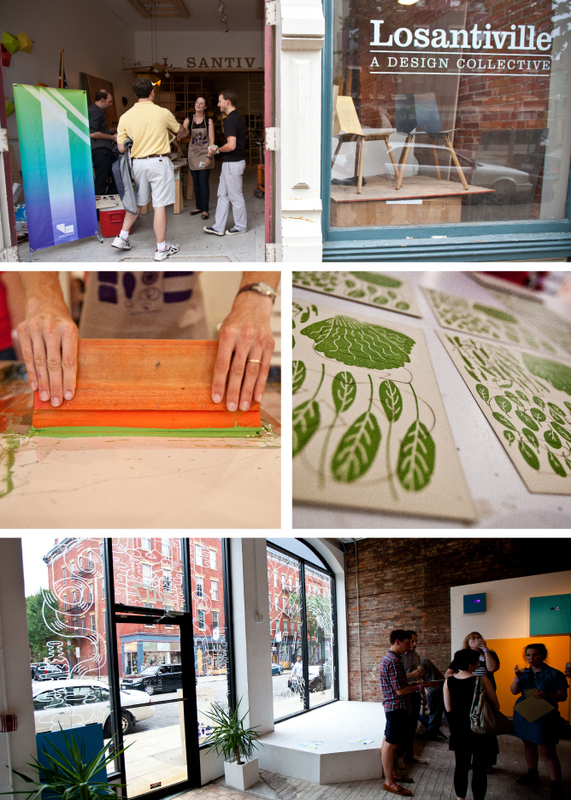 The event celebrated the region’s creative community and the art of the sandwich through laser cutting, letterpress and screen-printing. Participants began their journey at Losantiville Design Collective, where they started crafting their sandwich coasters by cutting out the forms with a laser-cutting machine. 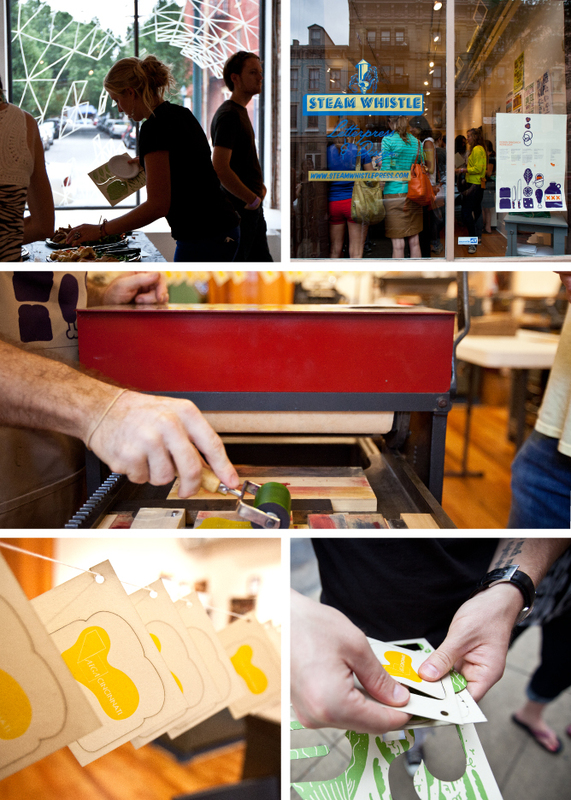 After some refreshments, participants traveled down the street to YES Gallery to have their coasters screen-printed. The final stop was Steam Whistle Letterpress where they topped off their design sandwiches with some freshly pressed, AIGA-flavored condiments. Check out the photos of LPKers in action and the event below.